As a young mother facing a terminal diagnosis, Julie Yip-Williams began to write her story, a story like no other. What started out as the chronicle of an imminent and early death became something much more—a powerful exhortation to the living. 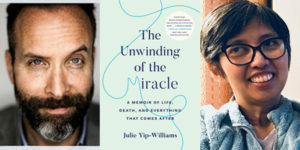 With humor, bracing honesty, and the cleansing power of well-deployed anger, Julie set the stage for her lasting legacy and one final miracle: the story of her life, which became her newly published Random House book, THE UNWINDING OF THE MIRACLE: A Memoir of Life, Death, and Everything That Comes After. Born blind in Vietnam, Julie narrowly escaped euthanasia at the hands of her grandmother, only to flee, with her family, the political upheaval of her country in the late 1970s. Loaded into a rickety boat with three hundred other refugees, Julie made it to Hong Kong and, ultimately, America, where a surgeon at UCLA gave her partial sight. She would go on to become a Harvard-educated lawyer, with a husband, a family, and a life she had once assumed would be impossible. Then, at age thirty-seven, with two little girls at home, Julie was diagnosed with terminal metastatic colon cancer, and a different journey began. In this “Three Questions for an Editor” interview, Mark Warren, Vice President, Executive Editor, Random House, delves into how he joined Julie on this journey that ultimately resulted in the creation of THE UNWINDING OF THE MIRACLE. Mark also reveals the challenging and rewarding aspects of being her editor, and shares what he feels readers will take away from Julie’s remarkable book. How would you describe your connection with Julie Yip-Williams? But we knew of each other before then – I had been captivated by her blog for years, and she knew me through some pieces about cancer that I had either written or been a subject of for Esquire. The main subject of those stories – a young war widow from Mississippi named Stephanie Lee – had died in February of 2015, also of colon cancer, also leaving two daughters motherless at home. In her search for guidance through the experience of disease, Julie had read those stories. Stephanie and Julie shared genetic features that had their bodies in full rebellion against them, each being afflicted with a cancer more normally seen in old men than young women. They shared the desperate desire to live for their girls. And they shared a deep and mutual admiration, although they would never meet. Stephanie was diagnosed with her terminal cancer in May of 2013, and Julie in July of the same year. As Stephanie’s disease progressed, circumstances conspired to make me her caregiver – another long story – and I came to know more about colon cancer than I ever meant to know. After I discovered Julie’s cancer blog, I shared her writing with Stephanie, and Julie became as much a pillar of strength for Stephanie as Stephanie was for Julie. Their mutual ardor was very moving. Steph and I would email Julie’s posts back and forth, and on more than one occasion I read Julie’s writing to Stephanie in hospital rooms in Ocean Springs, Mississippi, New Orleans, and New York City. After Stephanie died, Julie and I met. She said that we were destined to meet, because I was grieving Stephanie’s death, and was in need of the consolation only someone who was going through the same experience would be able to provide. And Julie told me that she needed to meet me because I had just seen Stephanie through to her death, and she needed to know every detail of what that was like. I think she was absolutely right on both counts. And from the very beginning of the conversation about her life and her writing, Julie would talk freely and with her usual bracing honesty about the most elemental and intimate of things – the biggest possible questions: Why are we as a culture so afraid of death? (The “hope industrial complex” is how she once put it to me.) What is pain? What is love? Why does love have the capacity to cause such pain? What happens next? Questions that’ll strip the bark right off of you. Stipulated in all of this was the unfairness of fate, and the necessity to accept fate, learn from it, evolve, and meet it with open arms. I don’t think we encounter this degree of radical honesty very often. She did not seek refuge in denial, nor did she go looking outside herself for a miracle. Instead she looked inward, and took inventory of the miracles that were already there. She was funny and angry and tender and brave. I feel so lucky to call her my friend, and so grateful that she has left us this book. As an editor, what were the challenges and rewards in bringing Julie’s story to book form? The challenges were the rewards. Practically speaking, the main challenge was that Julie wouldn’t be here for most of the editing process, wouldn’t be around to say, Boy, that’s a stupid move, Mark, wouldn’t see it all take shape. 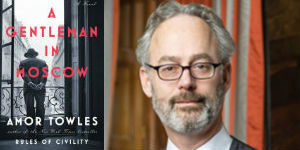 Her husband Josh Williams took his role as the steward of Julie’s story very seriously, and was of great help. His epilogue is very powerful, and achingly beautiful. But obviously in the edit, there is no substitute for the writer. In anticipation of this, Julie and I talked for dozens of hours over the last several months of her life, and I taped the conversations. 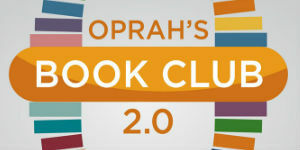 Some days we talked with purpose – the book’s structure, its dedication, going methodically through all parts of her story in greater detail – and some days were meandering therapy sessions. After she died in March of last year, we were sitting with a quarter-million words from her blog, another 80,000 words from a wonderful memoir she had begun before she got sick, and all these hours of conversation to draw from for the book. For months, I walked around with Julie’s voice in my head – which beats the voices normally there, as hers is a very wise voice indeed. During that time, I had lunch with my friend Alec Wilkinson, who is a writer. He knew about Julie, and that she had died, and as I told him what I was thinking about the manuscript, he stopped me, his face suddenly serious, and said, “This is a sacred obligation. Better not f**k it up.” And that sort of became my mantra. Thanks, Alec. What aspects of THE UNWINDING OF THE MIRACLE do you feel will resonate most strongly with readers? Julie’s honesty and humanity will wake you right up. From the responses I have heard so far, and from my own experience of the book, that is what stays, and leads you to examine your life. The thing that jangled inside me from first knowing Julie was: This is a person who has a lot to teach us not only about how to die, but how to live. And that is why I think of THE UNWINDING OF THE MIRACLE as such a hopeful and profoundly wise book. She would come to think of it as an exhortation to the living (“Life is wasted on the living,” she would say), and very much wanted her book to be a companion for all those who struggle, a bulletin from the abyss to let them know that they are not alone. To tell them that life is lived most vividly and beautifully by facing hard truths consciously.